* This tutorial applies to only original Samsung phones. I can't enter service mode by inputting that code into the dialer! I have a Samsung galaxy s4 m919 running CyanogenMod 11. Could that be the reason why? If so any suggestions? (08-16-2014, 02:53 AM)Endragon Wrote: I can't enter service mode by inputting that code into the dialer! I have a Samsung galaxy s4 m919 running CyanogenMod 11. Could that be the reason why? If so any suggestions? Have you tried the other methods? I've tried so many methods to no avail ..I've seen 3 different sgs2 model totally different from my model ..problem is to find someone using the exact model am looking for. and the link to ur efs professional isn't working. file seems to have been removed. (08-16-2014, 05:24 PM)X3non Wrote: I've tried so many methods to no avail ..I've seen 3 different sgs2 model totally different from my model ..problem is to find someone using the exact model am looking for. and the link to ur efs professional isn't working. file seems to have been removed. I don't have another working model of the device and I don't have access to a computer at the moment. But I will try the odin method as soon as I do. 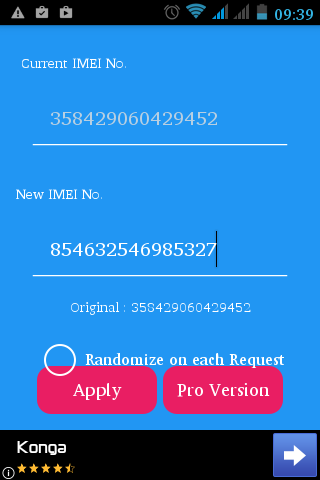 The download for the fixed IMEI number for the odin method says for S4 GT i9500. Will it also work for an S4 M919? 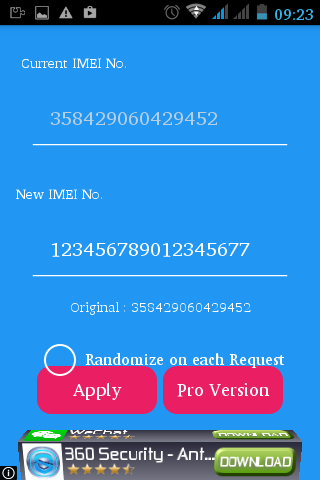 (08-18-2014, 05:59 PM)Endragon Wrote: The download for the fixed IMEI number for the odin method says for S4 GT i9500. Will it also work for an S4 M919? What would happen if it doesn't work? Would my phone be bricked? (08-18-2014, 08:06 PM)Endragon Wrote: What would happen if it doesn't work? Would my phone be bricked?